Valentine’s Competition – Win £50 worth of Lighting or Resturant Vouchers! Staying in or dining out this Valentine’s? Either way, we’ve got you covered. Tag your other half, friend or significant other on our competition post on either Facebook or Instagram to enter. You also need to both like the competition post and follow our page for your chance to win a £50 restaurant voucher if you’re going out OR a stylish light to set the mood if you’re staying in. Tag a friend in the post comments. Follow either @danetti_com or like the Danetti Facebook page. A winner will be randomly selected and announced on Monday 18th February 2019. Your prize will be a £50 restaurant voucher OR a £50 lighting voucher. Cannot be exchanged for cash or in-store credit on another item. That's right! We're also running Free Standard Delivery this Valentine's weekend. So you can bring back the love with stylish mood lighting, new beds, and sumptuous velvet pieces. Offer ends midnight Monday. Start saving on some of your favourite pieces sooner thanks to our early January sale. Get 10% off sitewide, 20% off sofas and beds and up to 40% off on our January sale deeper discount page. 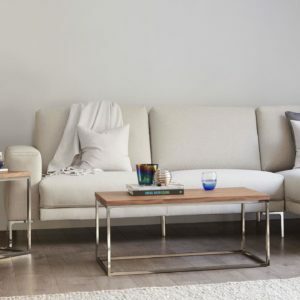 With such great savings, there’s never been a better time to revitalise your home with some stunning new furniture pieces! The biggest discount in our January sale, update your kitchen, dining room or living room with up to 40% off selected colours and sizes. 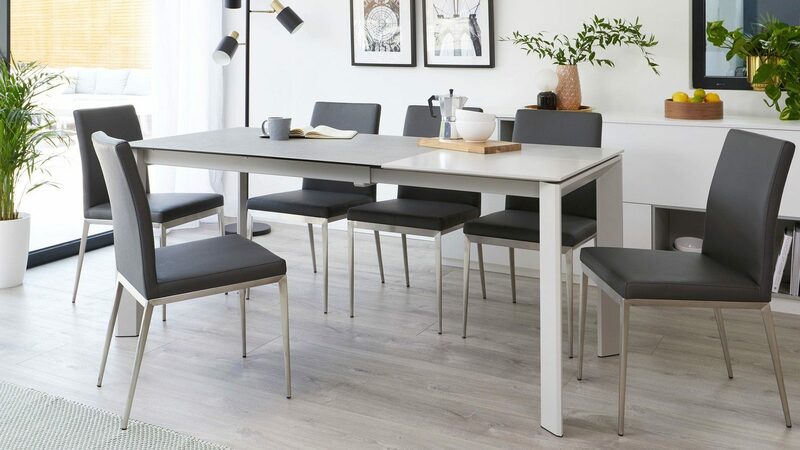 From stackable chairs to stylish storage pieces, save up to 30% on some of our top tables and dining room seating. 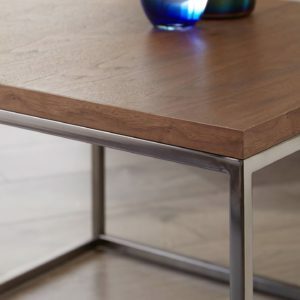 Keep the look cool and contemporary with Calanna white oak console or Louis marble table. Then introduce dark luxe looks with the matt black legs of the Bella chair or the rich walnut of the Halo coffee table. 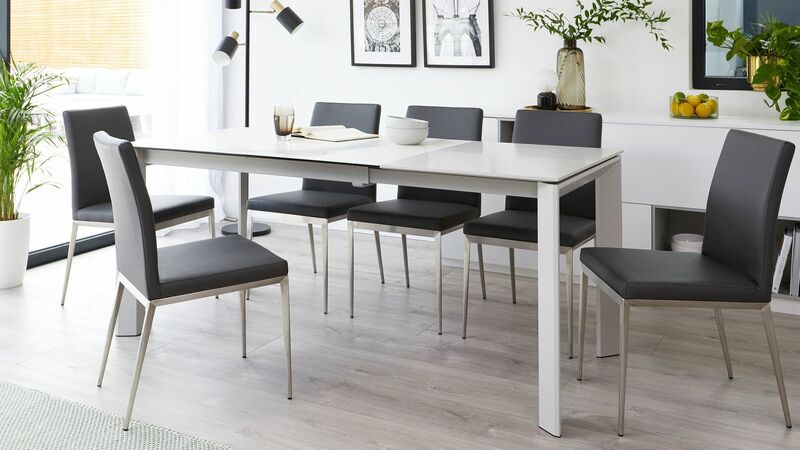 Sara's light and open dining area with the Fern and Stylo set is a Nordic-inspired dream! So clean and stylish. 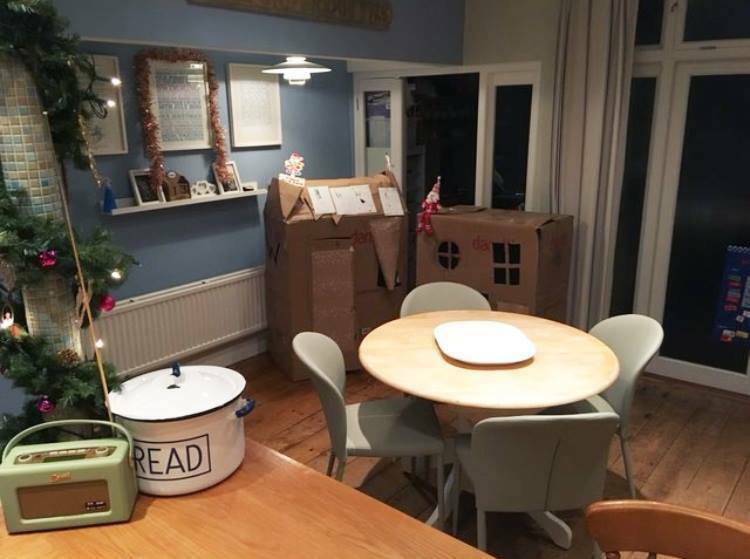 Hayley's Cleo and Santo Dining Set looks fab in her family home... We love the boxes turned into houses for the kids too! Entries close midnight 1st January 2019 with the winner being announced 4th January 2019. 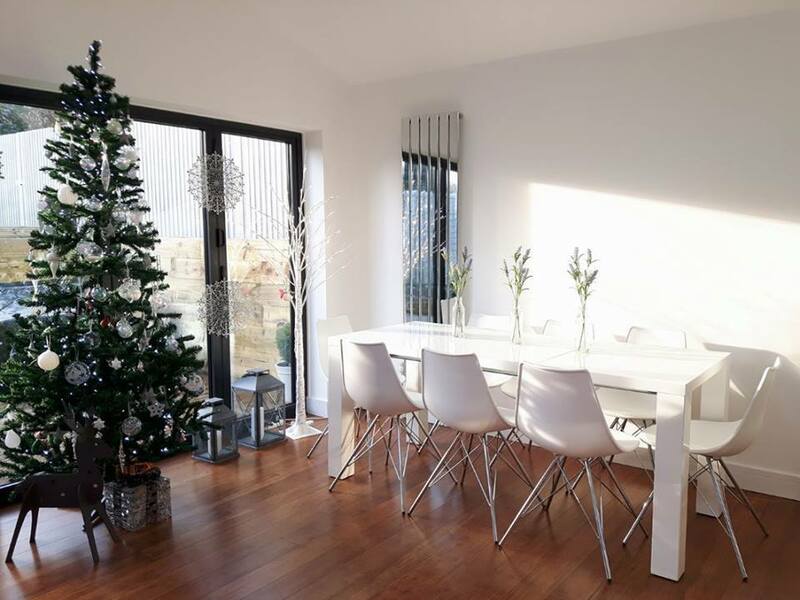 We can't wait to see your Christmassy homes! Good luck and Merry Christmas from everyone here at Danetti. 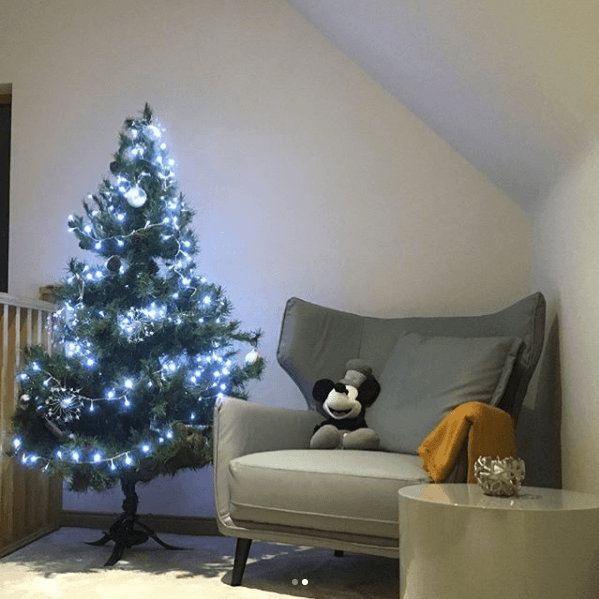 So, get your Danetti furniture looking its best, put up your sparkly decorations and spread some festive cheer this Christmas. You can view our Facebook here and Instagram here. For more style inspiration, check out the rest of our lifestyle blog. Black Friday 2018 – Save Big This Black Friday! Our Black Friday sale is here! So now is a better time than ever to snap up that piece (or those pieces) that have been sat in your cart for a while now but are yet to be checked out. With site wide offers and additional discounts of up to 40% on some great pieces, you’re sure to find something to suit your home in our Black Friday sale. Our biggest saving this Black Friday, get up to 40% off a selection of dining tables, our real leather Monti dining chair in black and the handy duo side table set. Sideboards and dining tables are big investments for your home, so why not snap these statement pieces while they're 30% off! If grey is what you're after, we've got you covered. 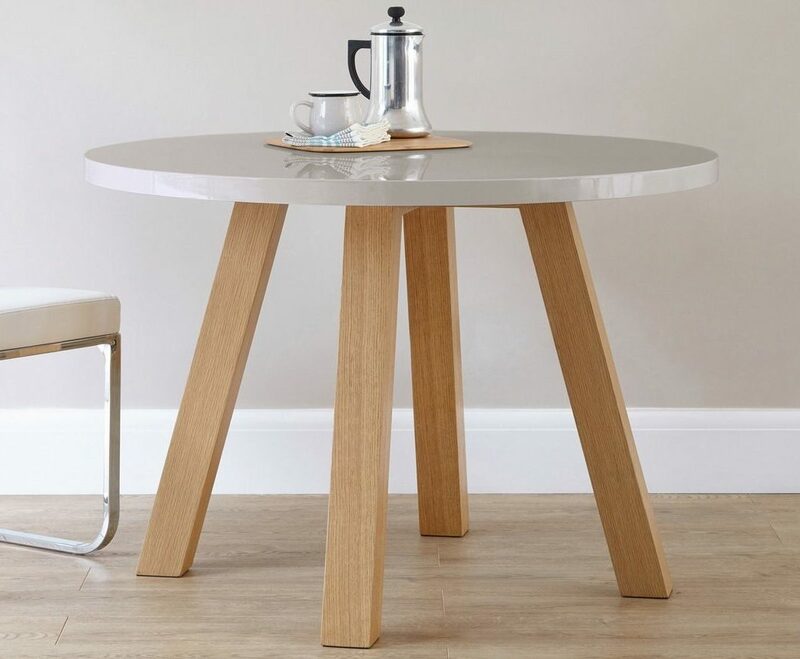 The Arc table, Louis table and Cleo are all now 20% off in our Black Friday sale. 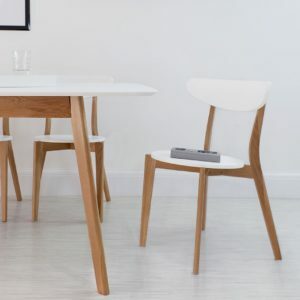 From durable ceramics to rich dark wood veneer, save up to 10% on selected tables and chairs. 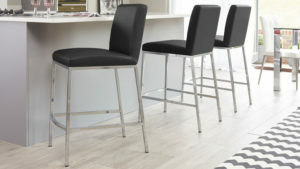 Are you looking for a modern Bar Stool that has great value for money but also a fantastic style? 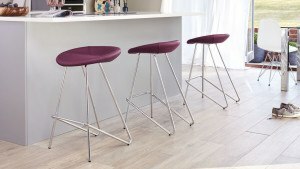 This stylish selection of Bar Stools are all priced under £100. 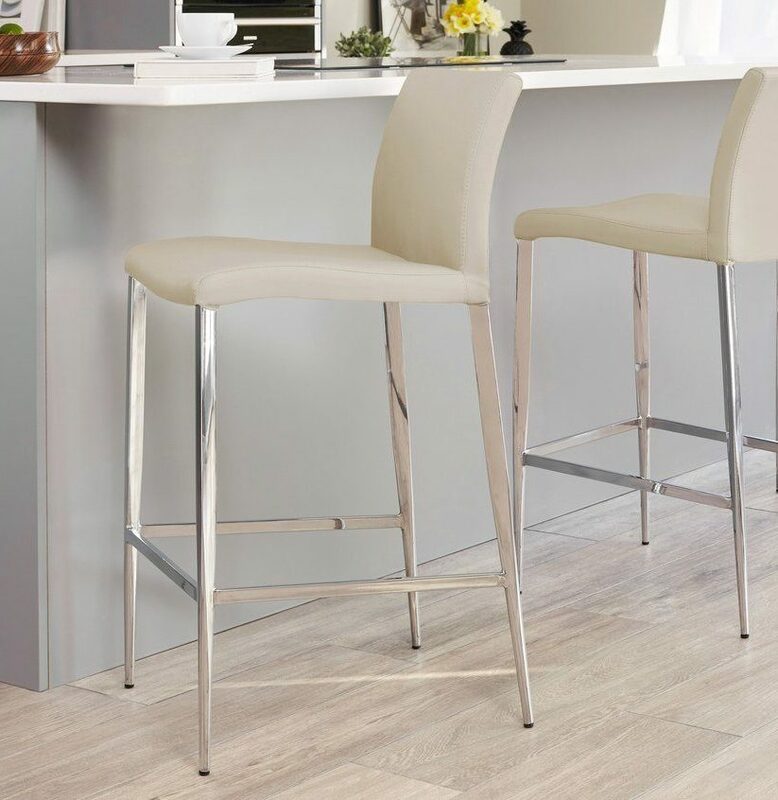 The Oak Bar Stool is a contemporary and modern addition to your kitchen. 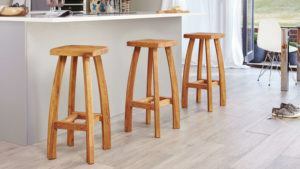 The chunky Oak legs are shapely and curved creating extra interest to the simple Oak Bar Stool. 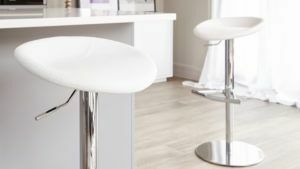 The footrest is 200 mm from the ground, allowing your feet to rest comfortably, and meaning your stool fits perfectly under a kitchen island or breakfast bar. 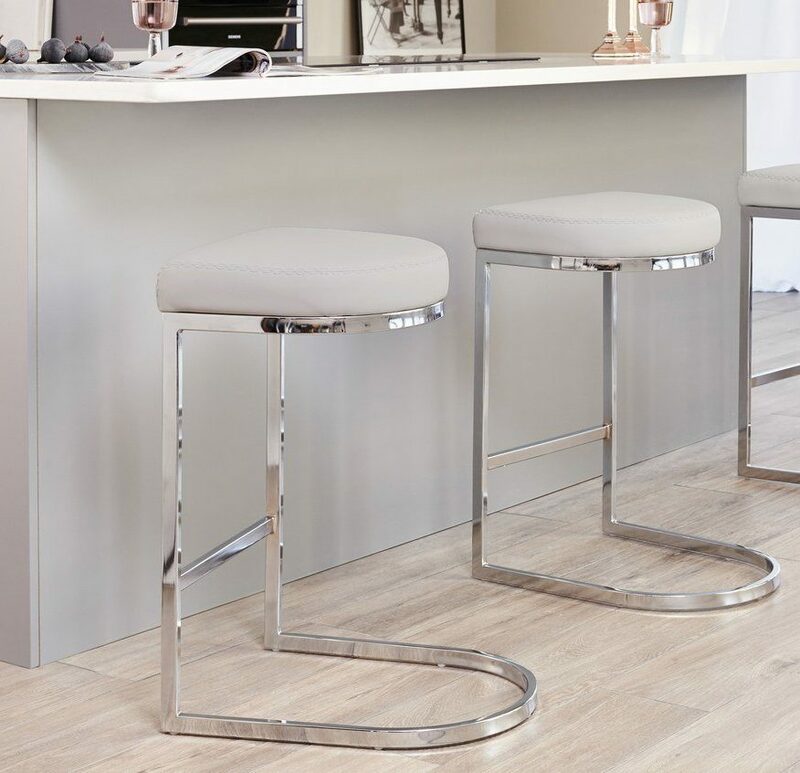 The Elise Barstool is beautifully upholstered in luxurious but durable faux leather in either classic black or modern white. The padded seat and backrest add extra comfort and practicality. The sleek frame is finished in shiny chrome at a fixed height of 670 mm. 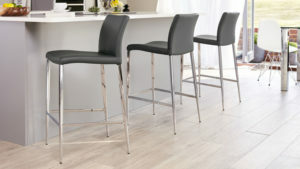 The polished chrome legs are tapered to add extra interest which creates a very elegant Bar Stool. 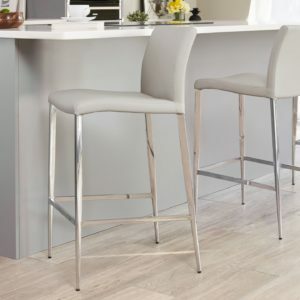 The funky Anzio Barstool stands out from the crowd. 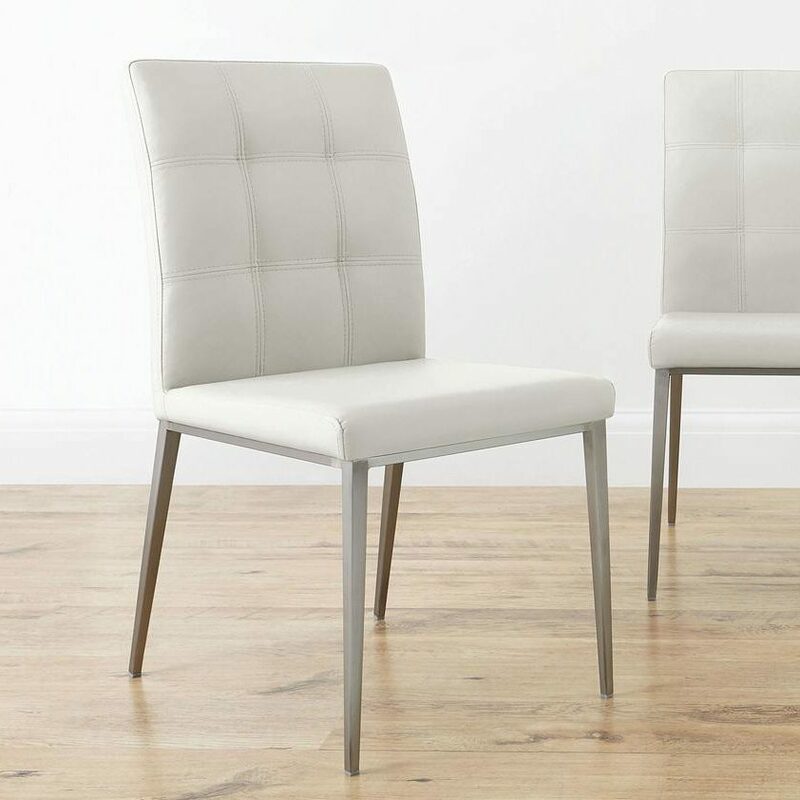 The stylish, comfortable padded seat is perfectly upholstered in highly durable, soft White Faux Leather. 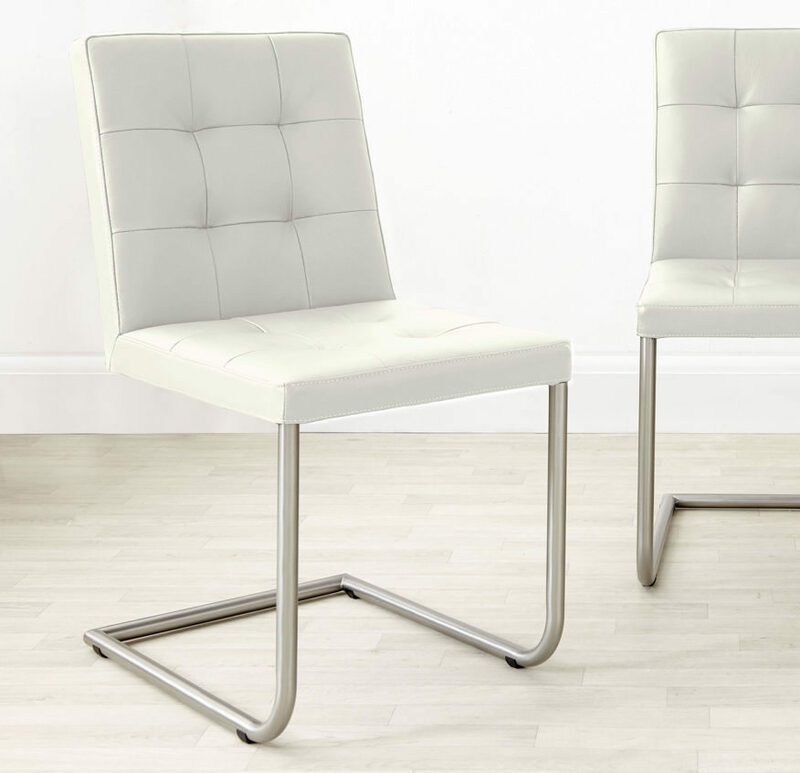 The sleek chrome legs are slim and slender creating an elegant look. The shiny chrome rear legs wrap around creating a funky, eye-catching footrest. New to the family is the Finn Barstools. 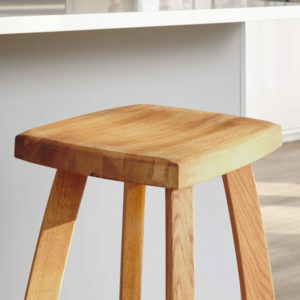 Made from moulded polypropylene and a beech wood leg, this modern barstool is perfect for daily family life. The circular footrest offers contrast to the angular legs. The plastic seat also means cleaning these barstools couldn't be easier! Simply wipe with a damp, soapy cloth and dry with a clean microfibre. 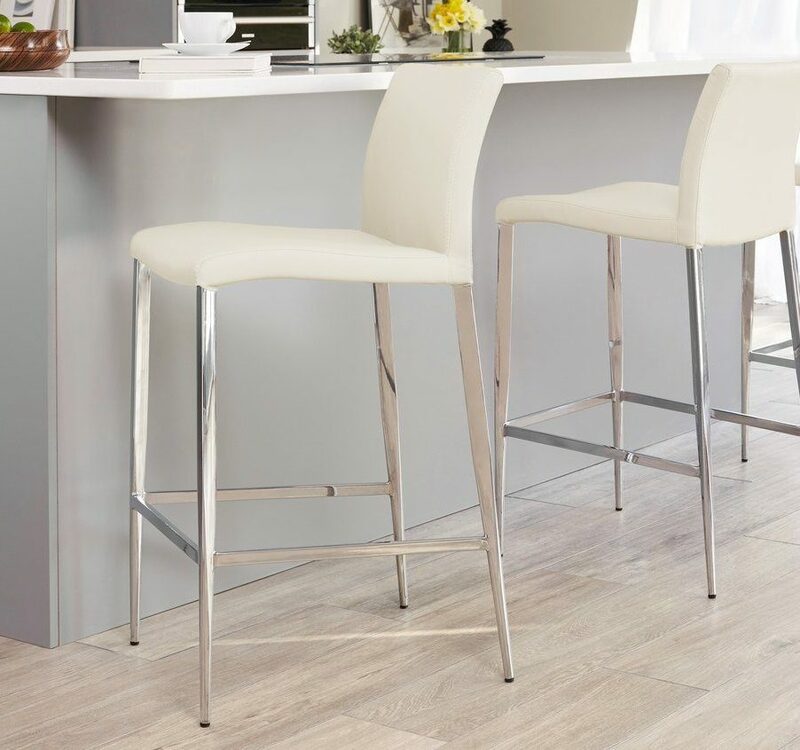 The Teora Barstool is a modern addition to your kitchen. 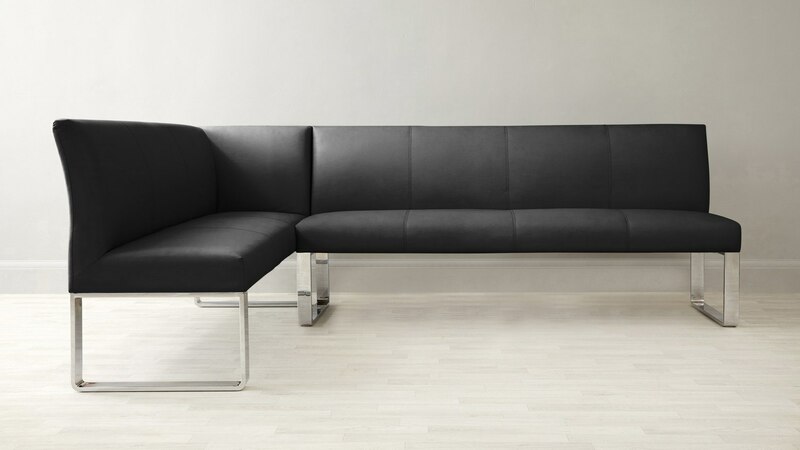 The comfortable seat is a well-proportioned wider seat and beautifully upholstered in hardwearing faux leather. 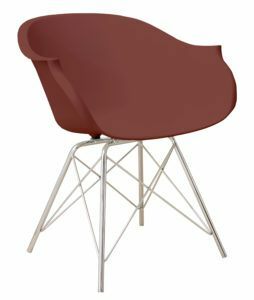 This stylish Bar Stool is available in two high fashion colours: Putty Grey and Ruby Red. 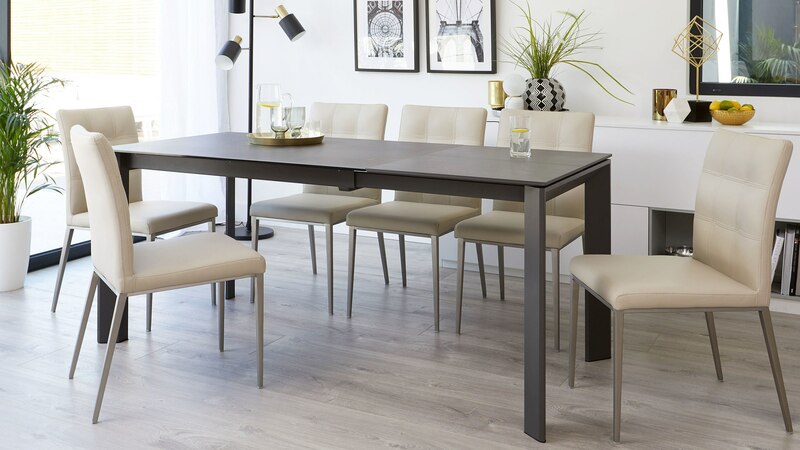 When it comes to a family dining table, durability is a must. It’d be no good having a table that looks the part but isn’t up to scratch when it comes to usability. We champion all of our dining tables as being fit for everyday use, none more so than our new Ceramic Louis Dining Table. 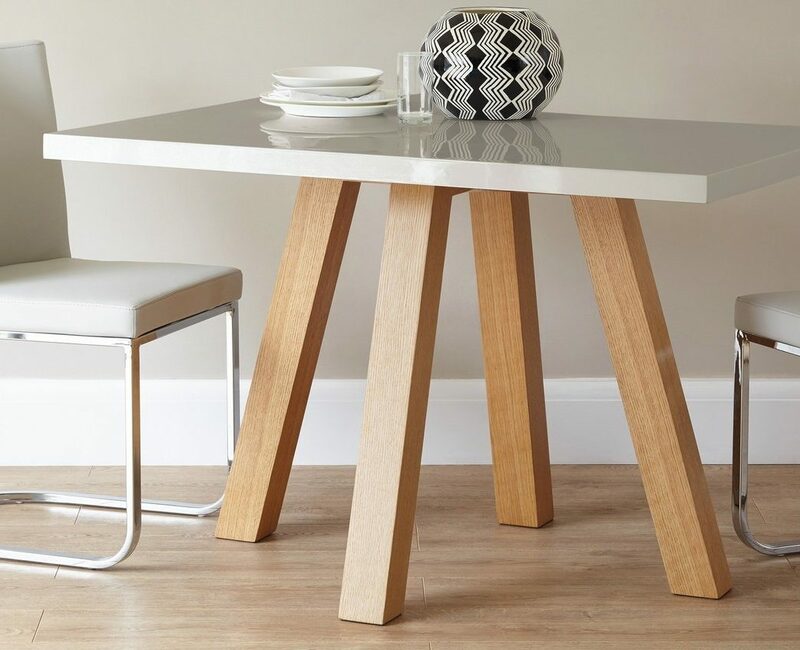 This table not only looks great, but it’s incredibly durable and practical too. 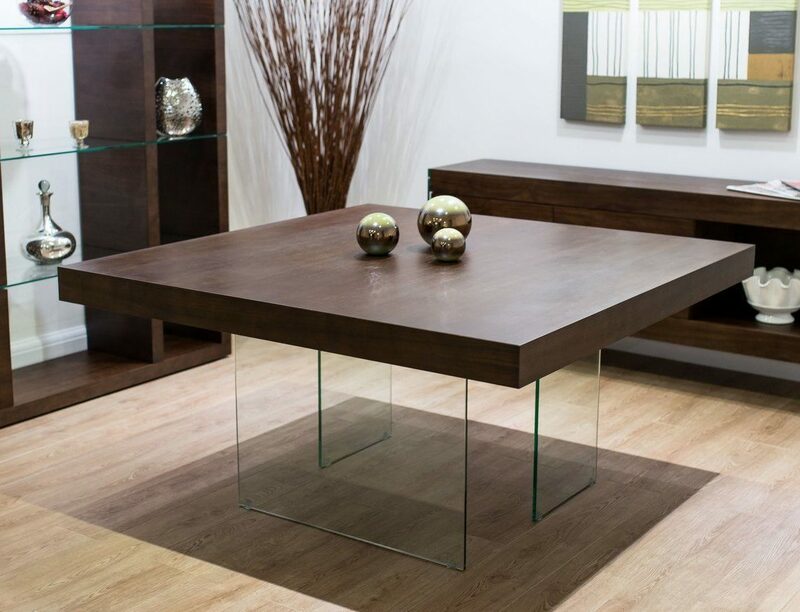 In this product spotlight, we’ll talk you through the great features of this piece has to offer, and why you need to consider having the Louis table in your home! Fajitas for dinner, buffet spreads and birthday parties are all great occasions, but they can take their toll on our dining tables. And who wants to hide a good looking table under a plastic cover? Well, you’ll be glad to hear that with the Louis this won’t be an issue. 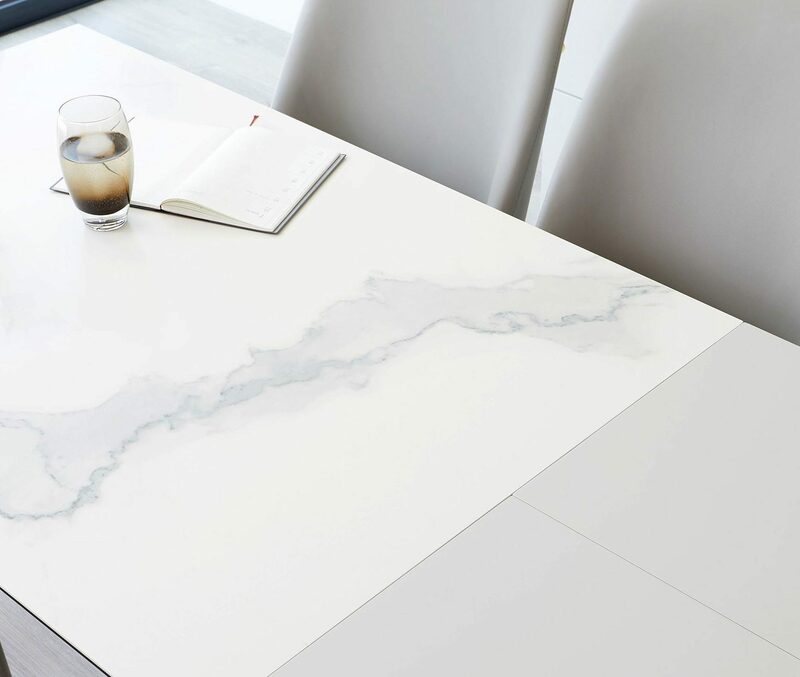 The table surface is made from a durable ceramic that’s been backed onto tempered safety glass. Although a bit of a mouthful to say, this is what makes the Louis so sturdy. The ceramic top is resistant to over 100°C heat, so you can place hot dishes straight from the oven onto the ceramic surface and not worry about the material warping. The ceramic is also fully scratch proof. This means it’s more durable than being scratch resistant, so ideal for busy mealtimes and families with younger children. You can fill your table full of plates, dishes and pans and not worry about damaging the surface. One of the limitations of a real marble table (other than the price) is that it's porous. 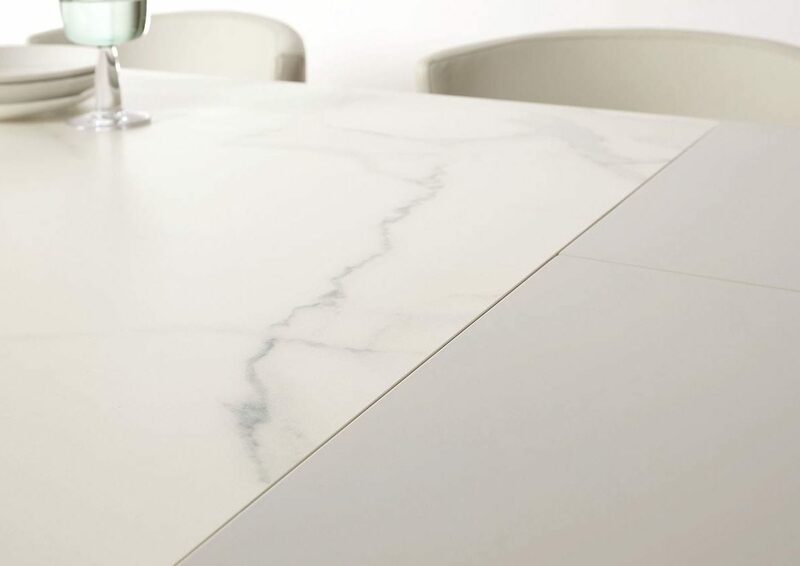 The marble backed ceramic finish is, therefore, a great alternative as it’s resistant to absorption. So you get the luxurious look of a marble table but with increased durability. The other two finishes for the Louis are a light and dark grey ceramic. If you look closely, you can see the surface has a textured stone-like appearance, rather than being one flat colour. 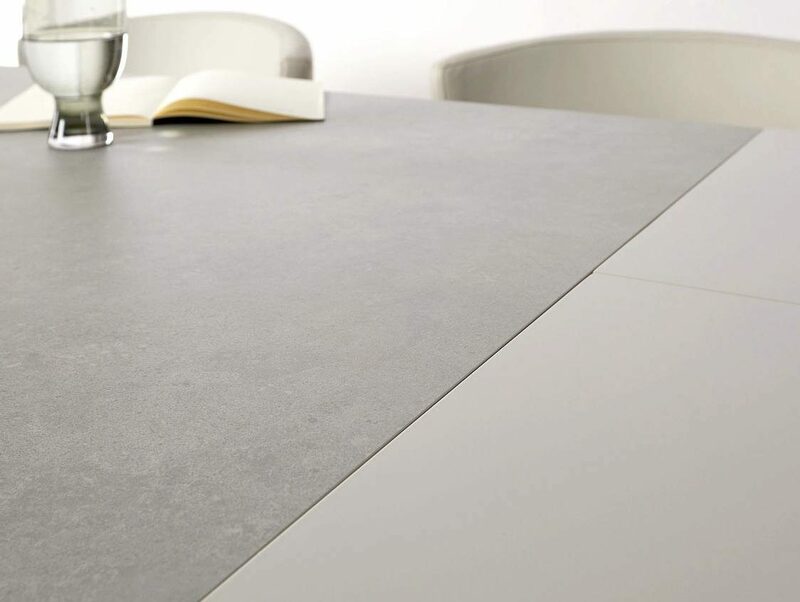 This gives the table a natural look but with the added benefit of the durable ceramic. 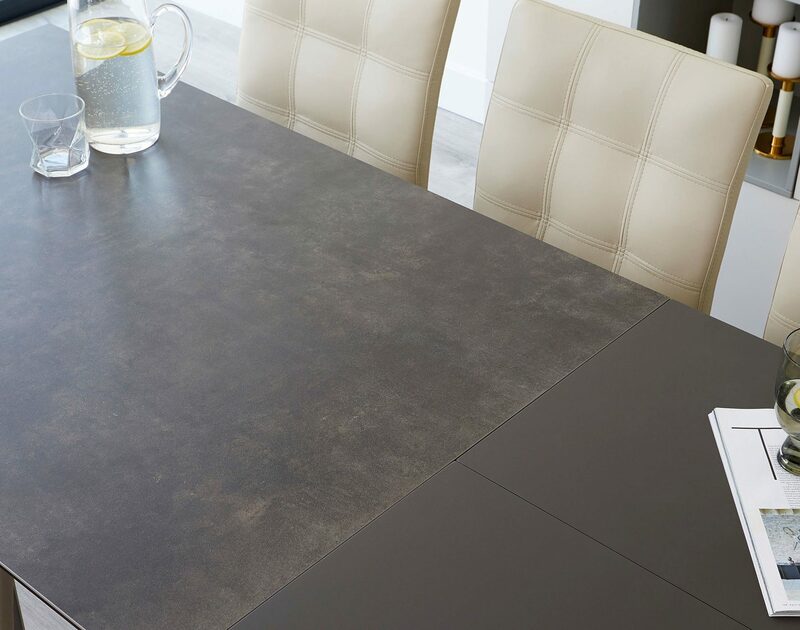 The darker of the two will create a real statement look in your dining area while the lighter grey is ideal for styling alongside modern finishes. Extending dining tables are ideal if you want the option of extra seats but don’t need a large table up all of the time. Extending tables also give you added versatility and can help you maximise the space you have available. The Louis table has a single butterfly extension piece. It’s so easy to use; just pull the table apart then flip and clip the extension in place. The extension is stored within the top so you don’t need to think about where to put it when it’s not in use. This makes it incredibly user-friendly. Unextended, the table can seat four to six (using the table ends). With the extension in place, you’ll be able to seat up to eight. Seating will also depend on your choice of dining chair. 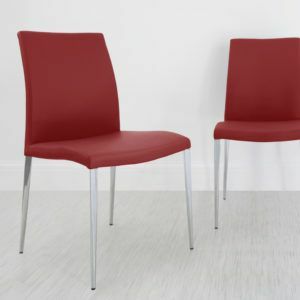 For example, some chairs have a wider base while others are taller and slimmer. So if you want to maximise the use of this table, it’s best to check the width of your chairs. Because of the wider seat of the Deco, the Louis is better suited to a six-seater set up. 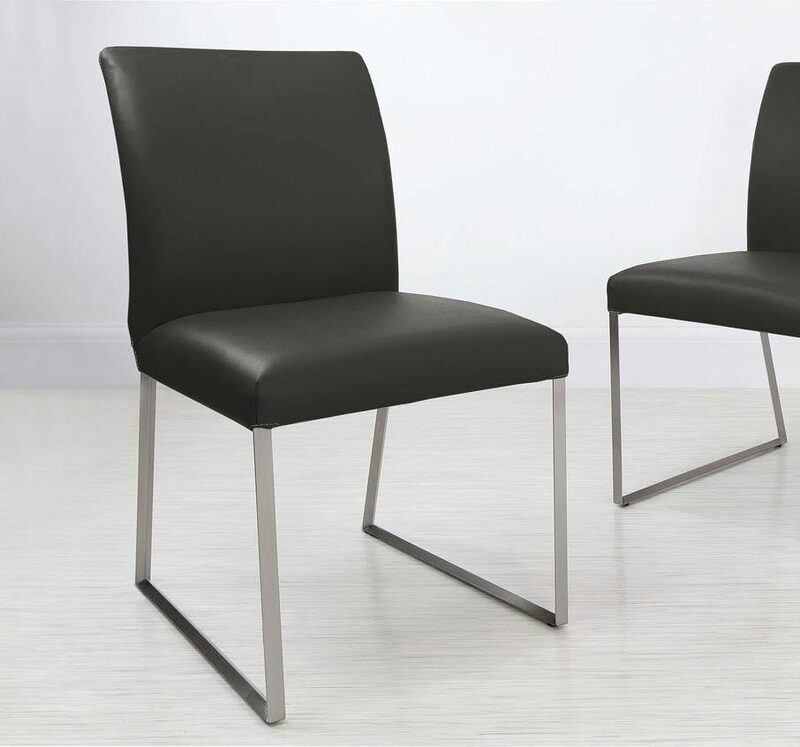 However, with the Lucia chairs, you can fit up to eight thanks to the slimmer shape of the seats. The extension piece is made from a quality MDF board. It’s satin painted to match the colour of the leg frame while also coordinating with the colours of the ceramic top. 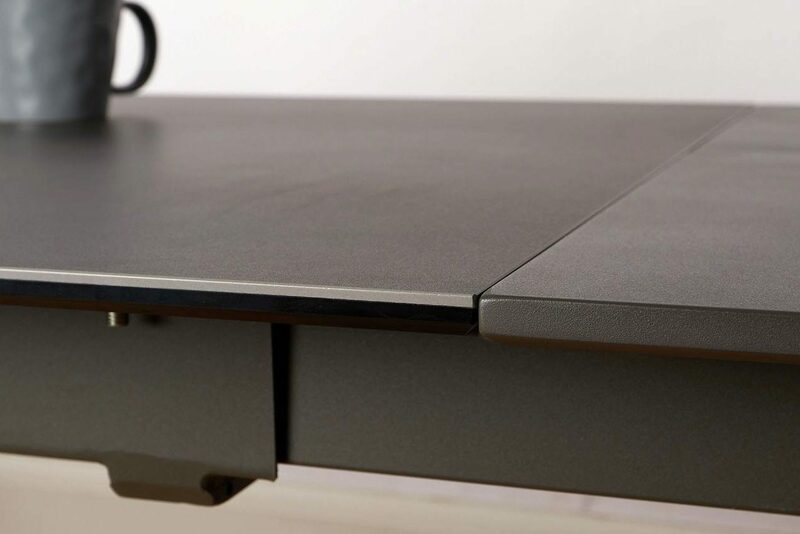 The MDF extension isn’t heat or scratch resistant like the ceramic top, so it’s best to still use heatproof coasters and mats on this section of the table surface. The stainless steel leg frame is satin painted, same as the MDF extension piece. 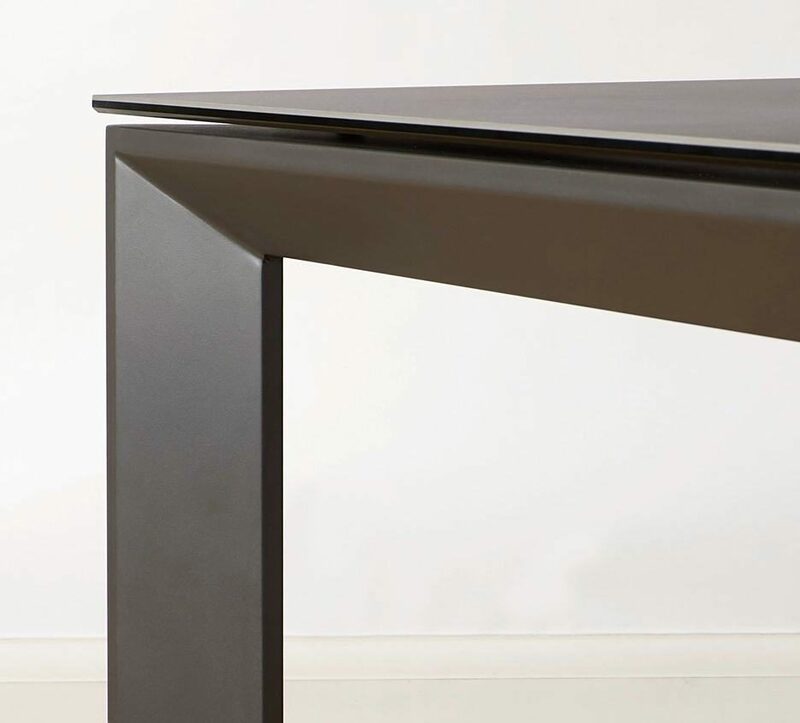 We’ve added an inverted 45° sculpted angular detail so the leg frame neatly tucks under the table top. 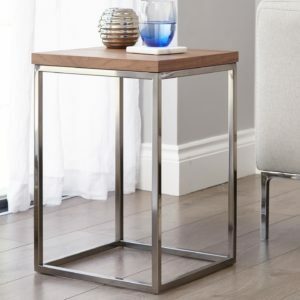 This gives the leg frame a subtle yet considered design detail on the leg, without interrupting the smooth table surface. To clean the ceramic table surface, use a wet sponge and a mild detergent. It’s that simple! 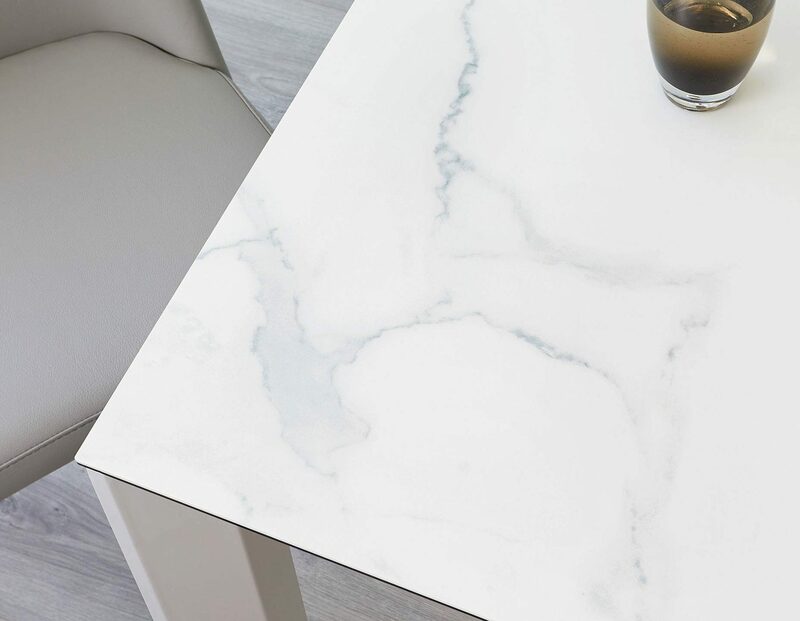 Because ceramic is extremely durable, it’s less prone to scratches and stains than a natural stone, so you can spend less time worrying about the clean-up and more time enjoying mealtimes. 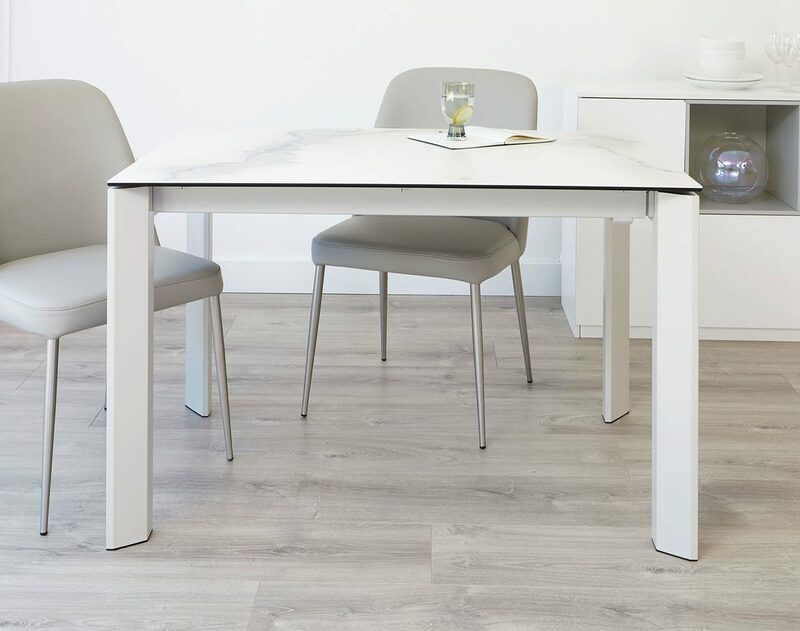 To find out even more about this durable table, you can view the Louis Ceramic Marble and Light Grey Extending Dining Table, Louis Dark Grey Ceramic Extending Dining Table and Louis Light Grey Ceramic Extending Dining Table over on our website. For more tips on how to buy the perfect dining table, take a look at our Dining Table Buying Guide. 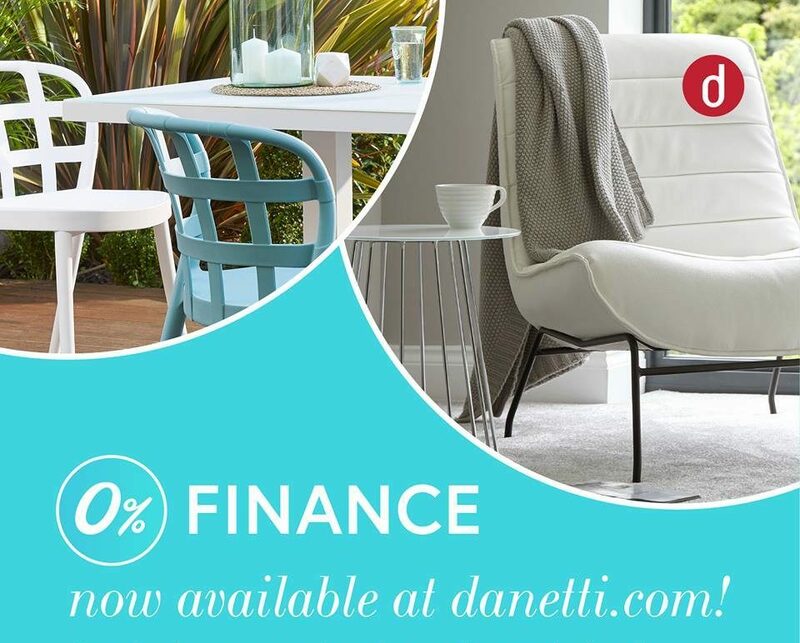 0% Finance Now Available – Get The Furniture You’ve Always Dreamt Of! We’ve all done it. Searched high and low for that piece missing from our home. Then when we spot it, we get all excited about how it’s going to transform our space only to find it’s out of our price range. Well not anymore! 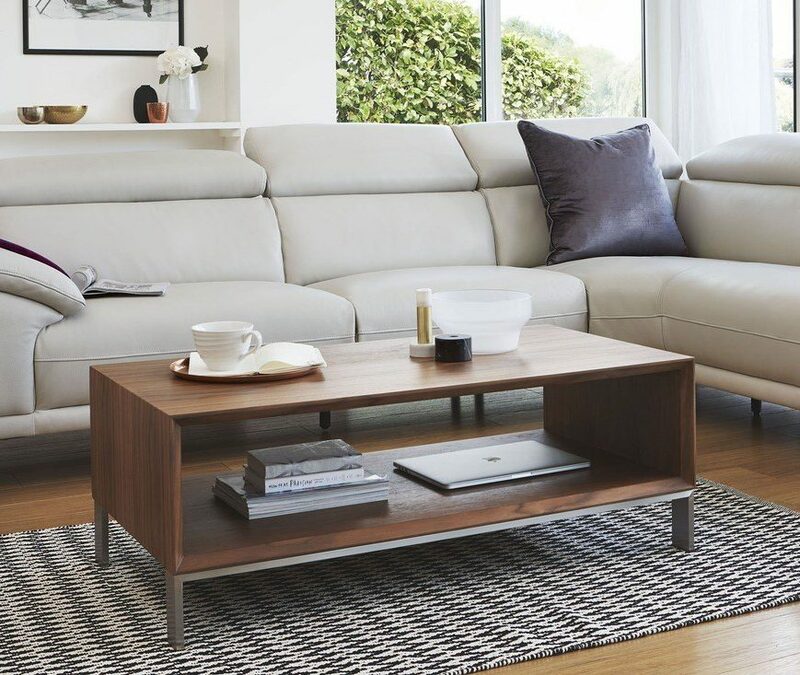 With our new 0% finance option, you can spend less time saving and more time enjoying the furniture in your home. In the post, we’ll give you a quick rundown of this helpful payment option and how you can use it to get your home looking its best far sooner! Unlike other repayment methods, the great thing about 0% finance is that there are no hidden costs or fees. You’ll pay no more than if you were to purchase the item in one go, but instead, you can spread your payments over a 12 or 24 month period, depending on the size of your order. When you’ve found the item you like, you can check if it qualifies for finance by checking the finance box on the product page. Your order will need to be over £1,500 for a 12-month repayment and over £2,500 for a 24-month repayment period. Check the 'finance available' box to see if your order qualifies for finance, along with the monthly repayment amount. When you’re ready, add your products to your basket and select the ‘0% finance' option at the checkout. You’ll be asked to pay a 10% deposit along with filling out a quick application to check you are eligible. Then that’s it! Once your application is approved, your finance order will be complete. If you’d like to find out more about our PayByFinance option, such as when your repayments start and in the event of your application being declined, you can either visit our finance FAQs page or give us a call on 020 3881 380. Look for some style inspiration? why not take a look at our new brass and velvet finishes perfect for modern homes! You may have seen over the last few months a smattering of images of our new Danetti Outdoor Range. A capsule collection of modern and contemporary garden furniture with all the comforts of inside, outside. 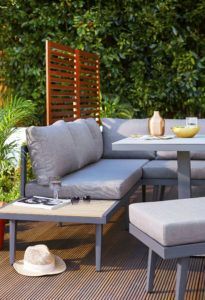 While designing this new range of durable garden furniture, function, style and easy maintenance were at the forefront. 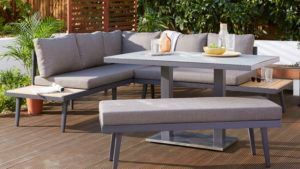 We have created a versatile range of 2 seater dining tables, for smaller gardens and patios, to larger 6 seater garden dining table and luxurious corner sofas. Regardless of the size of your garden, you're sure to find your new outdoor furniture right here. The Palermo 2 Seater Garden Dining Table is the ideal option for those with smaller gardens. You can quite happily seat 2-4 people, depending on your needs. 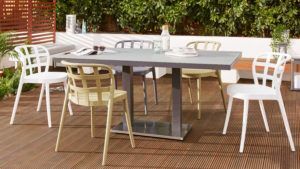 As with all of our outdoor dining tables, the etched tempered glass top adds weight to the durable aluminium base and gives a soft, matte finish. 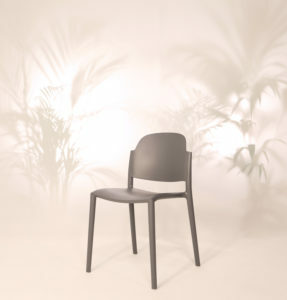 Team with the Lola stackable garden dining chair for a clean, minimal outdoor setting. 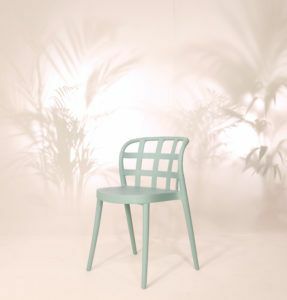 The Lola Chair comes in Aqua, Slate Grey and White. Available in your choice of White or Dark Grey, the Palermo 4 seater is the perfect choice for first-time buyers and mid-sized gardens. 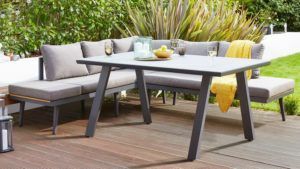 This outdoor dining table is super versatile and can be paired with either our garden dining benches or your favourite stackable dining chairs. Palermo 4 Seater Grey Dining Table with Palermo Corner and 2 Seater Dining Benches. 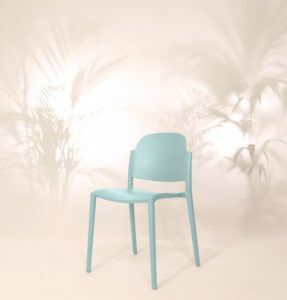 Pair with the stunning Skye Outdoor Stackable Dining Chair for an Ibiza inspired designer garden setting. Available in White, Slate Grey, Aqua or Olive Green to suit your outdoor colour schemes. 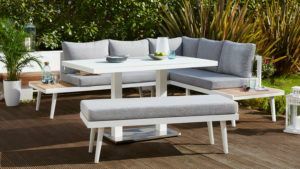 Alternatively, for a more uniform garden setting, why not choose 2 backless garden benches with your 4 seater Palermo Dining Table? 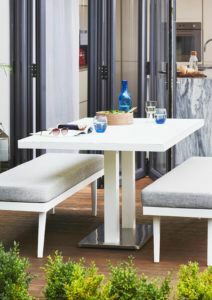 This space-saving dining set allows you to tuck the benches completely under the tempered glass outdoor dining table. This means you can keep the patio clear with easy access to your tabletop for those, larger parties! If you have a larger garden, our Palermo 6 seater dining tables would be a great choice for you. The great thing about outdoor furniture is that place settings are much more flexible. More guests? No problem! Simply pull up a couple extra chairs or seat a few extra bums on our dining benches and you can happily seat 8 or more! 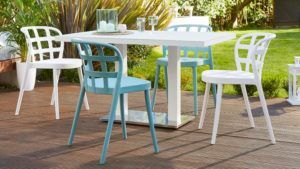 The White Palermo Range is suited for fresh, modern garden styles and works great with our Aqua or Yellow stackable outdoor dining chairs. 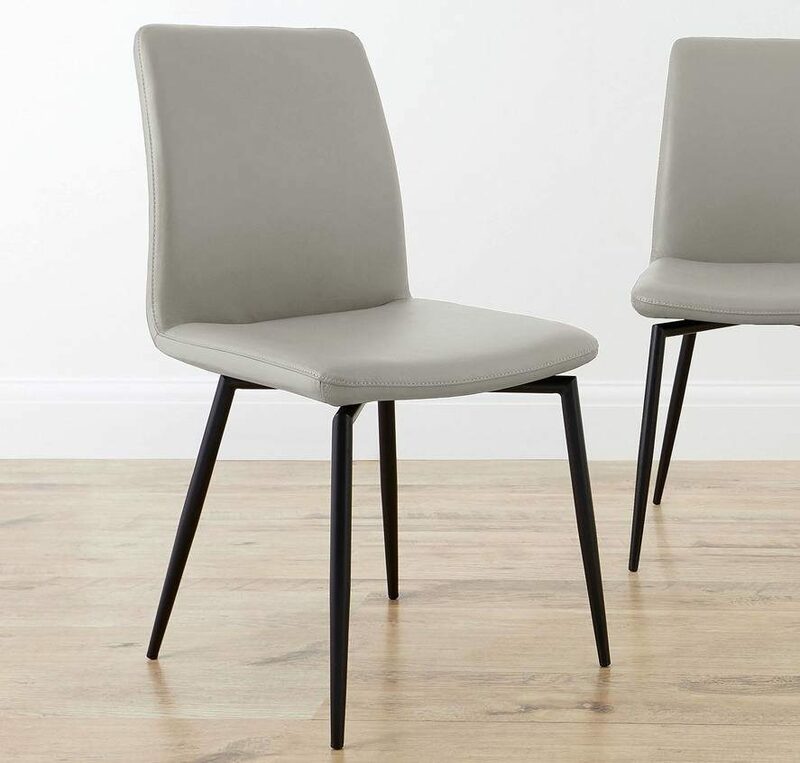 The Grey Palermo Range works great with our deeper Slate Grey and Olive Skye Dining Chairs. Place in gardens with darker decking or painted fences for a moody, boho vibe. Bring a real designer look to your garden with one of our garden benches. 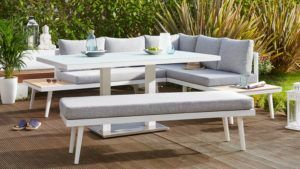 From compact 2 seaters to the larger 7 seater corner sofas, these benches will bring the wow factor to any outdoor oasis. 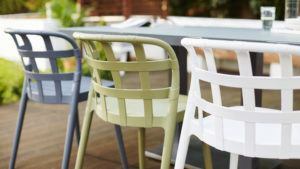 If you really want to mix things up, combine your colourful garden dining chairs with a modern garden bench for a social space you'll never want to leave. Keep your garden style slick by pairing the Palermo Corner Bench with our 2 or 3 seater Palermo Backless Benches. This creates a very co-ordinated outdoor space. 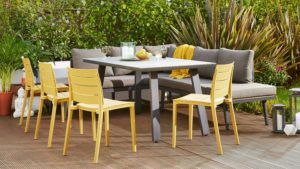 What's more, as this range of garden furniture is lightweight, you can easily move your dining table out of the way and enjoy your benches all summer long. 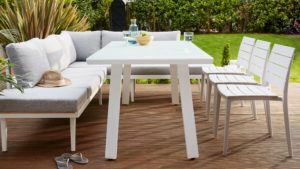 Alternatively, match your new Garden Benches to your outdoor dining table, as our Palermo Range comes in the same white and dark grey for a coordinated look. Mix and match with our bright garden chairs for a fun, laid-back outdoor space. 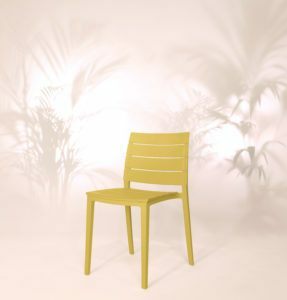 Available in Yellow (Ginger), White and Cool Grey, the Edie Stackable Garden Chair will add colour and structure to your garden. 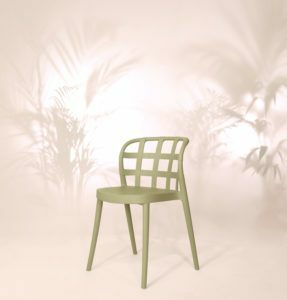 Also available is the coordinating Edie Armchair, for added style and comfort. If a pedestal style garden table is not your cup of tea, take a look at the Fresco Outdoor Dining Tables. 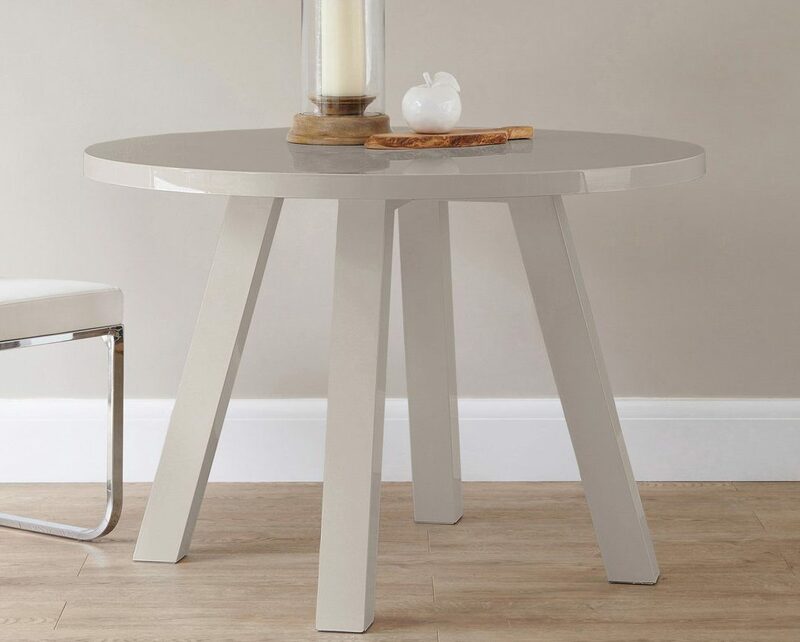 Made out of the same lightweight and durable aluminium and etched tempered glass, the Fresco Dining Table has a tapered style leg for a minimal look. 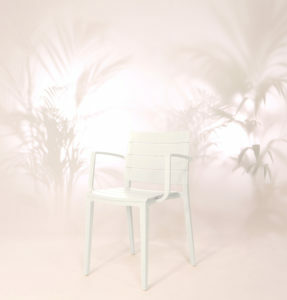 Pair up with the Edie stackable plastic garden chairs for a crisp, classic style. Add the Edie Dining Armchair at the ends of your tables for an indoor seating style. 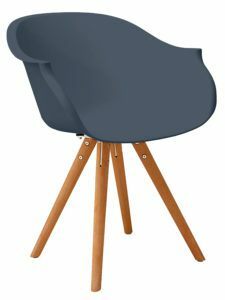 These chairs are also great for families, as children are less likely to be running around during dinner when sat in an armchair! 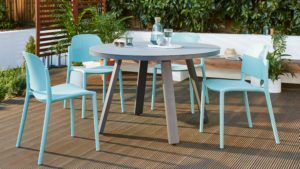 The tapered leg of the Fresco Dining Table offers a simple silhouette, to keep your garden light and allow your perfectly manicured lawns to be shown off. 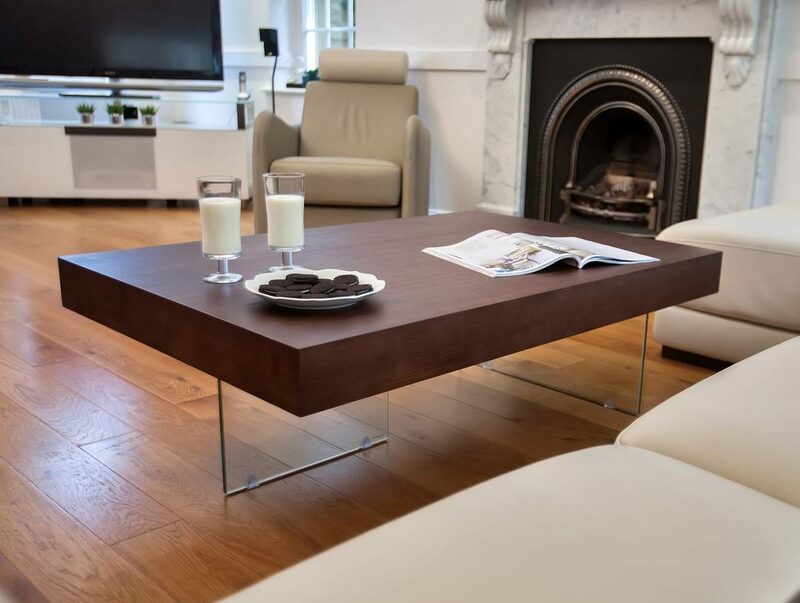 And finally, take a look at our Koko 4 Seater Dining Table. Comfortably seats 4 with the flexibility to squeeze in more, depending on how many you're entertaining. 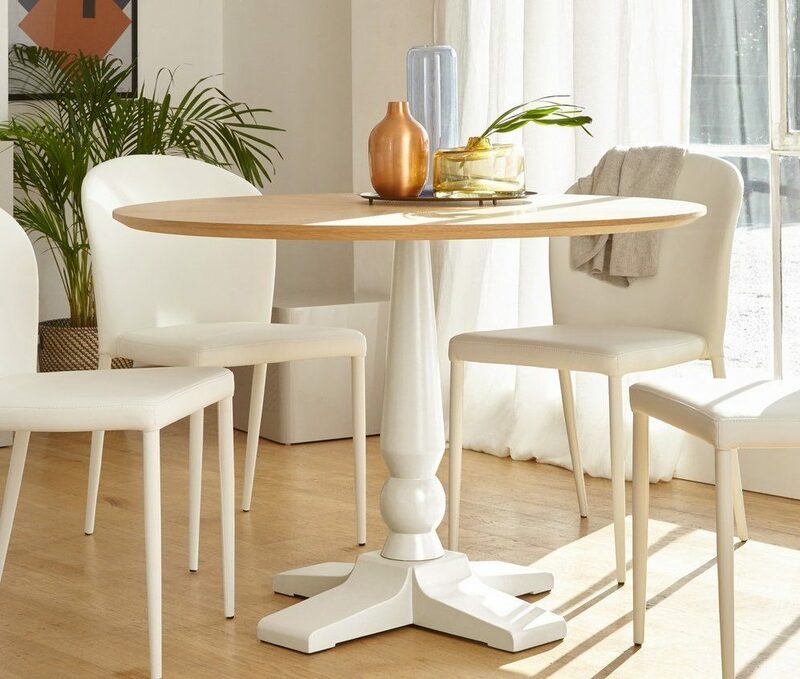 With a similar style leg to the Fresco Range, the minimal shape of this table is ideal for compact gardens. 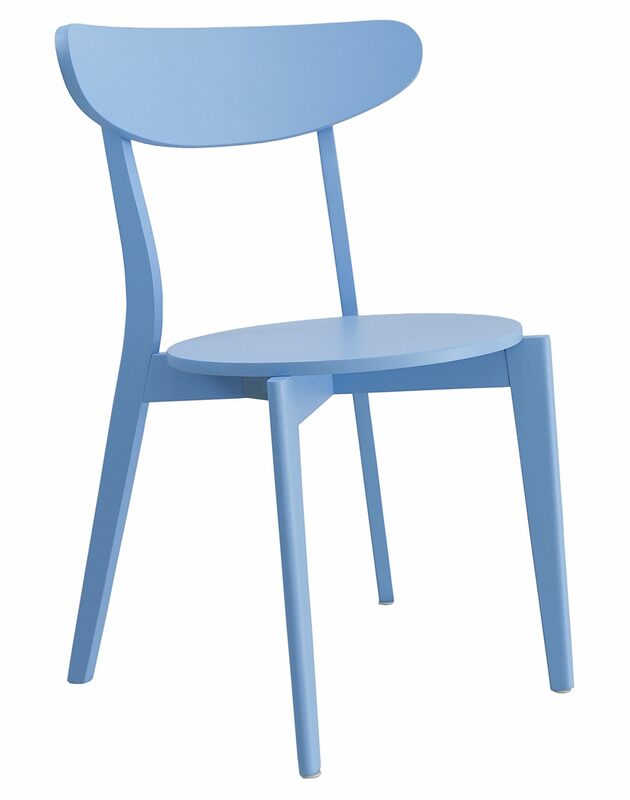 Pair with the Lola Dining Chair to keep the simple silhouette, or why not choose a combination of colours for a fun setting. 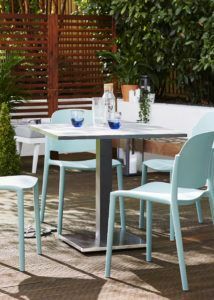 By now, we hope you have made up your mind on your favourite pieces from our first range of Outdoor Garden Furniture. If you're still unsure, you can order your very own Garden Swatch Pack. Simply visit one of the garden product pages on our website. 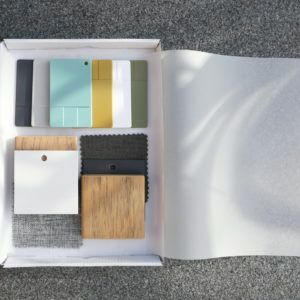 The pack contains samples of all the fabrics and colours, to make your decision process that bit easier. Don't forget, numbers of our Garden Range are limited, so snap up your favourites early to avoid disappointment. Plus, you're going to want to have your outdoor furniture sorted before the warmer weather comes. There's nothing worse than the sun being here with nowhere to sit and enjoy it! Already bought your garden furniture? Be sure to tag us in your pictures of Facebook and Instagram with #mydanetti and #danettioutdoor. Here's to a great summer! January; The yearly equivalent to Monday. Christmas is over, we're all a little bit broke, a little bit heavier, it's always dark and the weather is still bad. There's not a great deal going on and we tend to feel the festive blues. However, it's a new year, a fresh start, and the perfect time to get planning your home improvements for the year ahead. Plus, it helps that all of your favourite stores are on sale, too! But who wants to spend hours traipsing up and down the high street searching for bargains when you can find all of your new year home updates right here. Our stylist has hand-picked a curated list of the most cost-effective, quick and simple home updates. All you have to do is decide on your favourites! Whats more, until Jan 14th 2018, you can get 10% off all orders over £200 and 20% off All Sofas and Occasional Chairs. 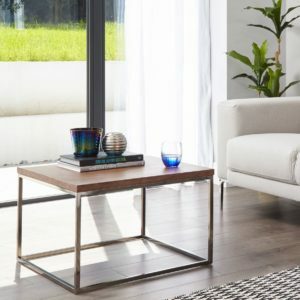 Our sleek and minimal Acute Range consists of side tables, 2 different sized coffee tables and a super handy console table (with a perfectly sized shelf for extra storage). The Walnut veneer ticks all the boxes when it comes to interior design trends for 2018, while the black chrome box frame base is a welcome change to furniture finishes. Starting from £89, you can very quickly and easily update your living space to become the envy of all your friends. The beauty and simplicity of the Acute range means you can mix and match with your existing furniture to create a unique and stylised look. Or team up the full set for a coordinated, minimal chic. One of the easiest, quickest and most cost-effective home updates is to change up your dining chairs. 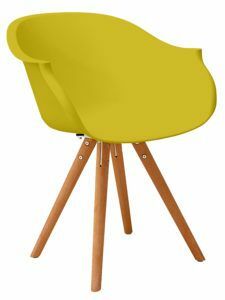 By updating your dining chairs you can add colour, show off your attitude or stay up to date with interior design trends. 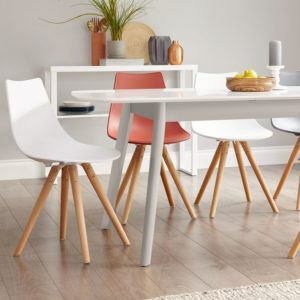 We have a great range of dining chairs in our sale, from wooden, Scandinavian inspired designs, to colourful fabric dining chairs, all for under £50! 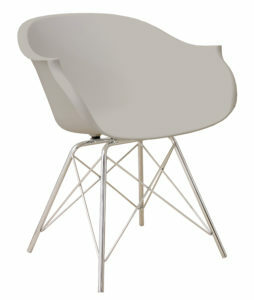 The Senn Dining Chair is ideal for a vast range of kitchen interior styles. Available in White and Grey, White and Oak or 6 striking colours, there is sure to be an option perfect for your dining makeover. Plus, starting at a very wallet-friendly £35 each, there's no time like the present! 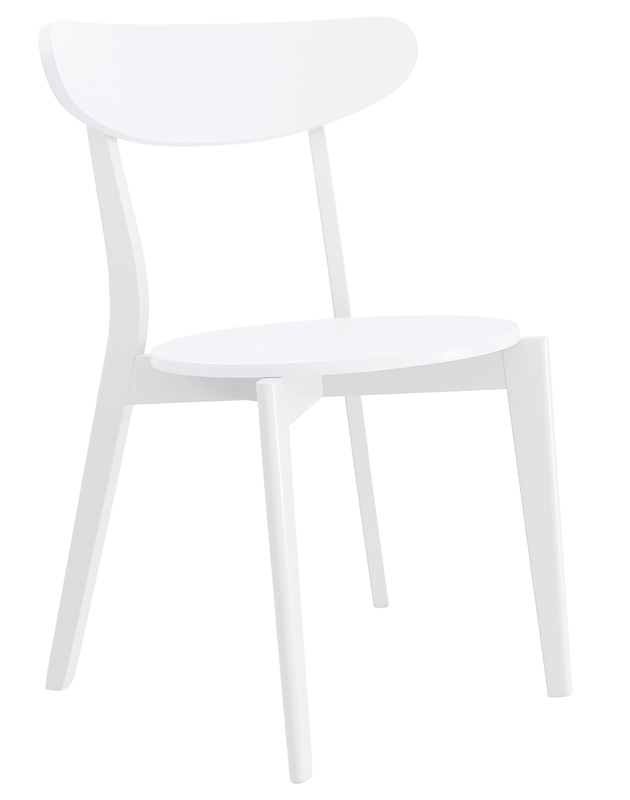 Plastic dining chairs are great for family life. 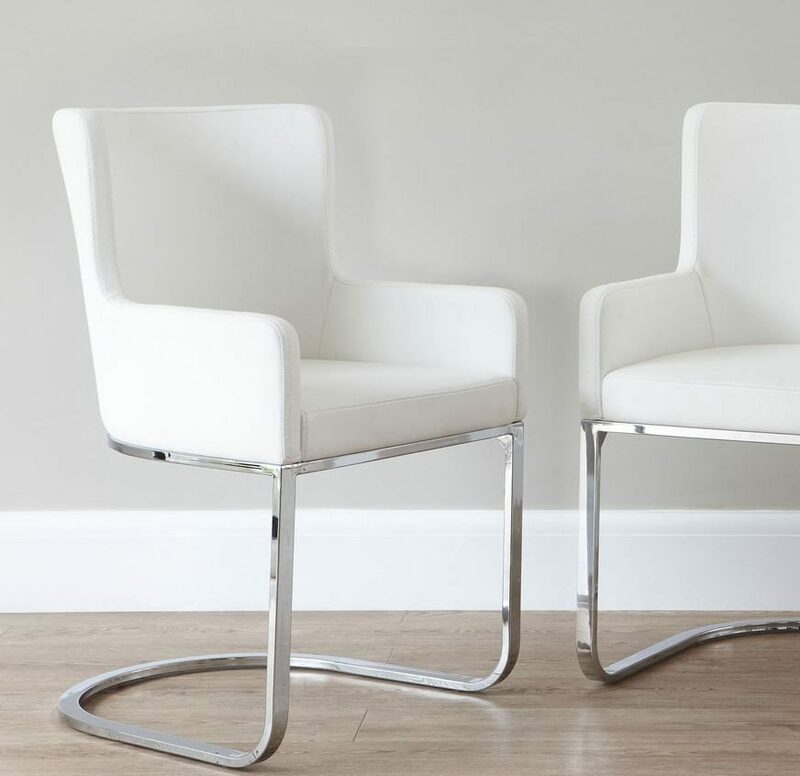 They are hard wearing, durable and super easy to clean, which is exactly why the Finn and Stylo armchairs are so popular. Available in 11 different colours to suit all interior styles, now down to just £49. The shapely curve of the seat allows optimum comfort for entertaining friends or just keeping your kids sat down during dinner. Pair your dining table with a full set of dining armchairs, or mix and match to create a personalised dining set. The Finn Dining Armchair consists of a curvaceous deep seat with handy armrests, ideal for settling in while entertaining. 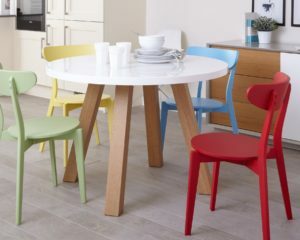 The solid beech legs bring this dining chair bang up to date and compliments each of the 11 colours beautifully. For a cool, colourful look, we recommend mixing the Navy Blue, Mustard Yellow and Steel blue. Storage space is a premium in our modern homes. We tend to knock out built-in furniture or convert our lofts for the extra living space, however, what happens to all the bits and bobs we had hiding away? You could have an intense clearing out, or, maybe treat yourself to a beautiful piece of furniture to tuck away the clutter. 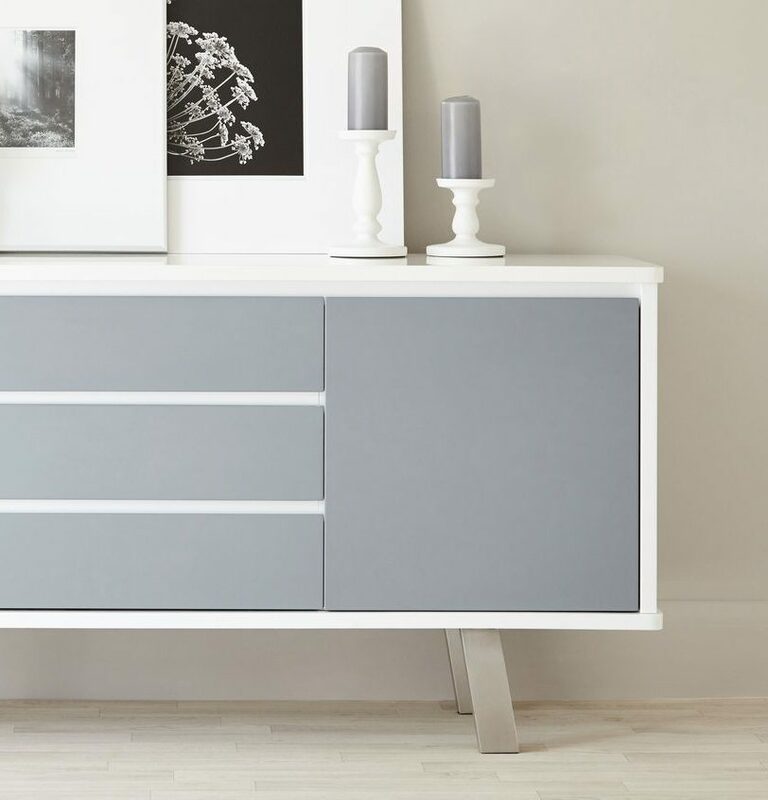 The Eve White Frosted Glass Compact Sideboard is the perfect storage solution for compact apartments and large family homes alike. As with all of our sideboards, The Eve Compact is multi-functional. Showcase your beautiful items on the frosted glass top, and hide away the less attractive bits inside. 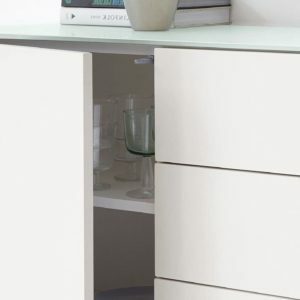 With 3 drawers and a shelved cupboard, you can use the Eve as a TV unit, kitchen storage, office storage or even extra storage in your hallway- just about anywhere you can think of! Shelved cupboards allow for more storage space. 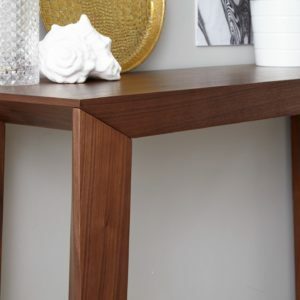 And Finally, in our Top 6 Sale Picks, we have the eternally cool Salerno Walnut Console Table. 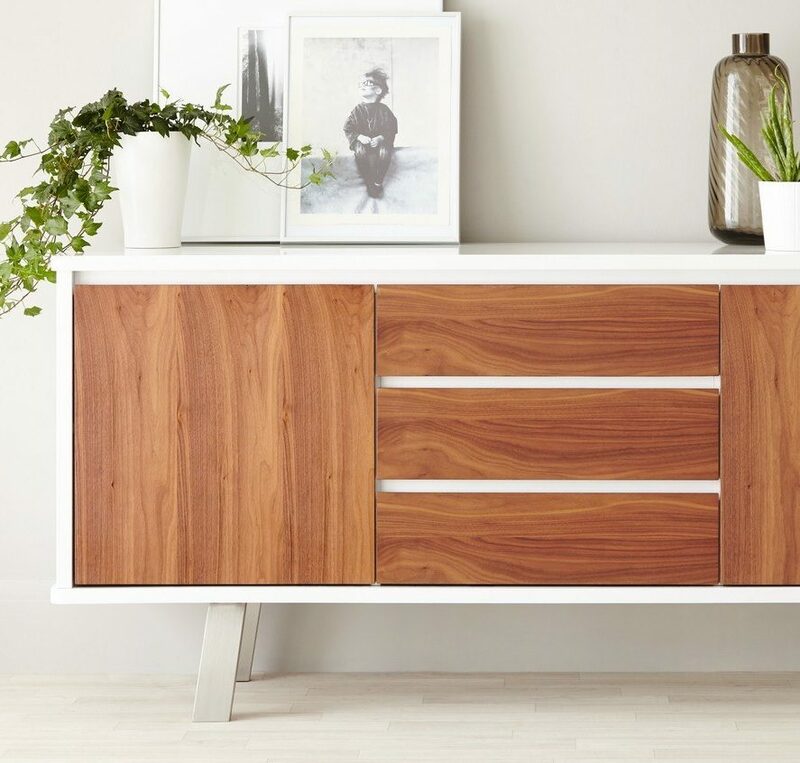 Pop this modern console unit in your hallway as a handy extra surface for keys and mail, and tuck shoes underneath to keep them out of the way. Or why not use in your living room to showcase your favourite family photos and fill that unloved corner. Wherever you decide to use your Salerno, there's no denying the designer feel this will bring to your interior. 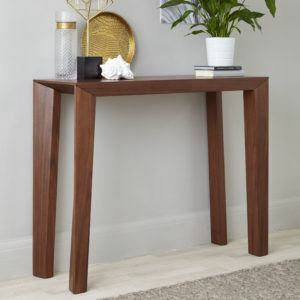 Try mixing your Walnut Salerno Console Table with the Acute Range in Walnut and Black Chrome for a warm yet oh so cool modern interior style. So snap yourself up a bargain this January, and start the year off right! Don't forget 10% off all orders over £200 ends midnight Sunday 14th Jan 2018. Remember to share your pictures with us by using #mydanetti across all social media channels! When hosting Christmas dinner you often need extra seating for the entire family. This year look stylish and organised with our Perfect Christmas Dining Set. 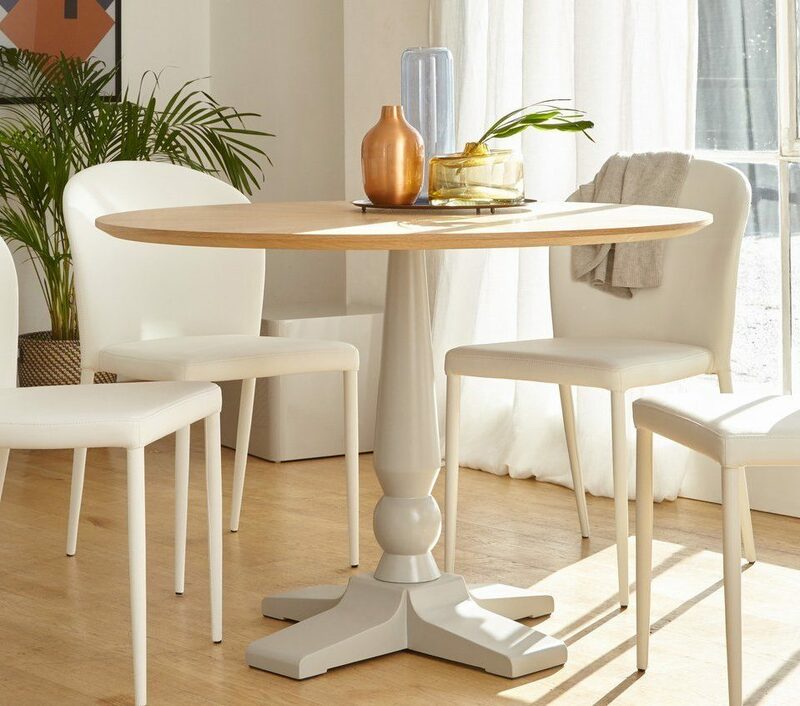 The Fern White Gloss Extending Dining Table can seat up to 10 people. 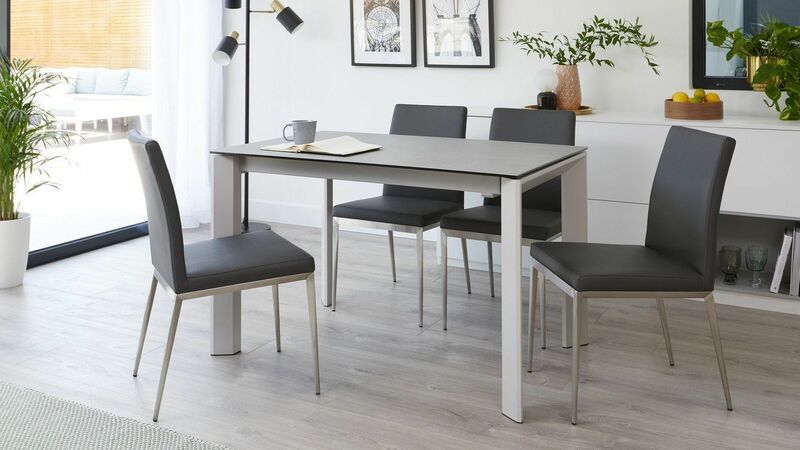 When paired with the Tori Stackable Cool Grey Dining Chair the flexibility is endless. 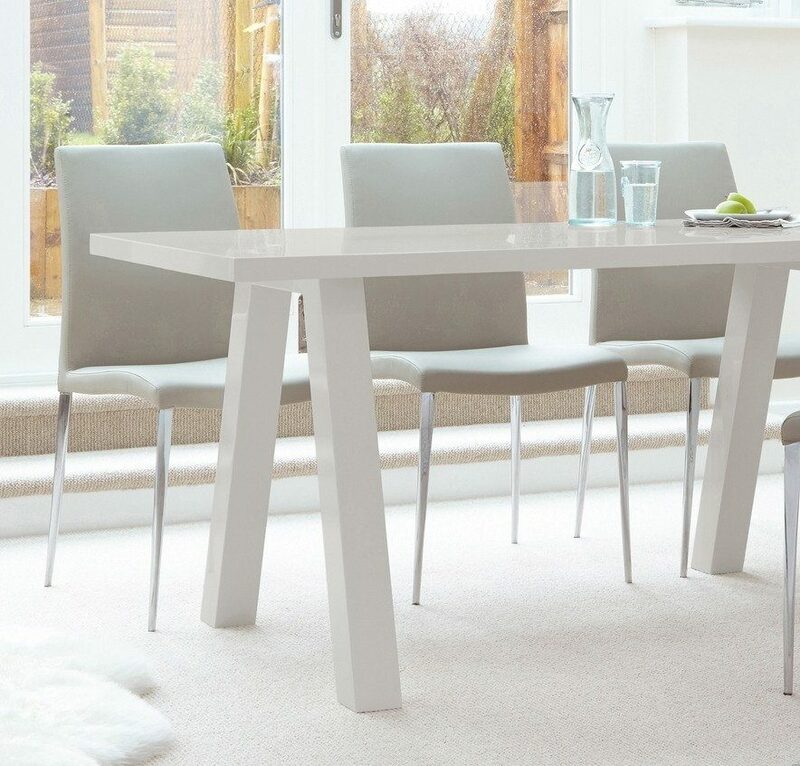 This high gloss white extending dining table can seat anywhere between 4 - 10 people, plus its sturdy design means Grandad won't be able to knock it over! You're planning to have 6 over for Lunch, but then your Niece decides she's bringing the new Boyfriend- no problem! Add an extra extension leaf, pull up another chair and you're good to go. The Cool Grey and Chrome of these affordable stackable dining chairs makes them timeless. 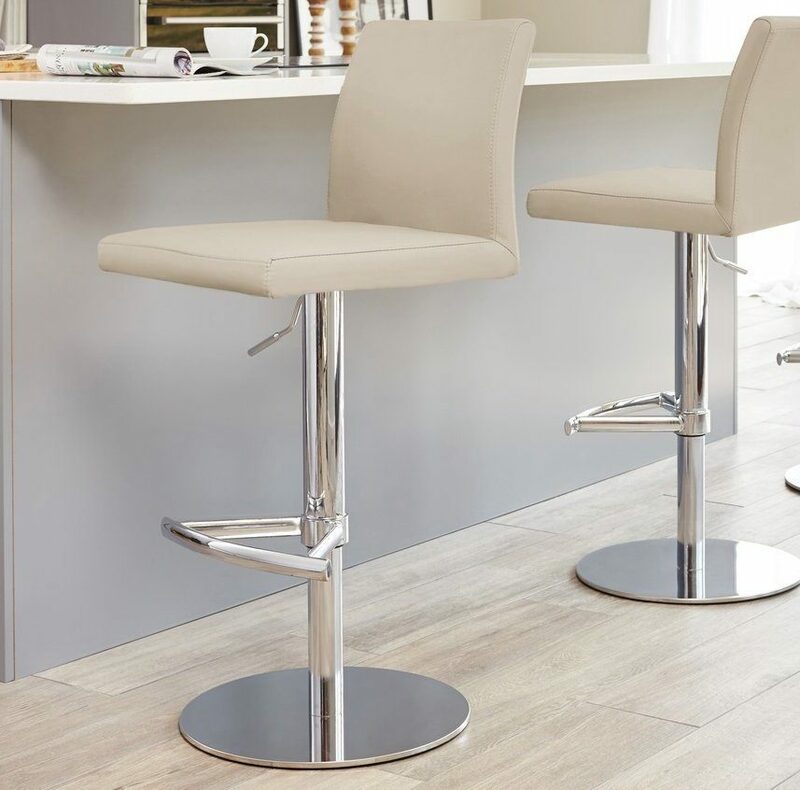 No need to update your kitchen every season, as the Tori chairs are an ideal option for all year round style. 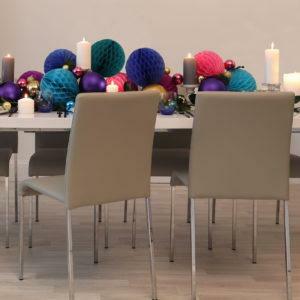 What's more, if you order this contemporary dining set before the 17th December, you're guaranteed Christmas Delivery! If you're after a Luxurious Interior without the luxurious price tag this Black Friday, check out the Real Leather Danni Dining Chair. Available in White, Charcoal Grey or Black, this monochrome colour pallet will slide seamlessly into any home interior style. 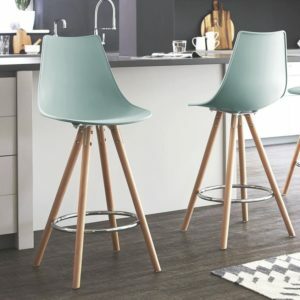 Now down to just £144.50, these real leather dining chairs are super affordable, but these deals won't last long so don't hang about! As homes are getting more compact, storage is more important than ever. However, we don't all have room for a large dresser or sideboard, which is why we have introduced the Eve White Glass Compact Sideboard. Plus until Midnight Monday 27th November 2017, it's down to just £315.50! 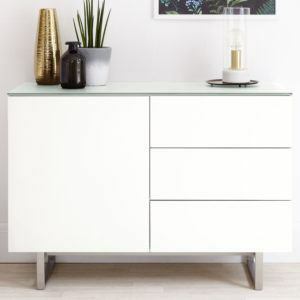 The Frosted Tempered Glass top gives the Eve Compact Sideboard a smooth and soft finish while being just 107cm wide, it can slot into the smallest of spaces. 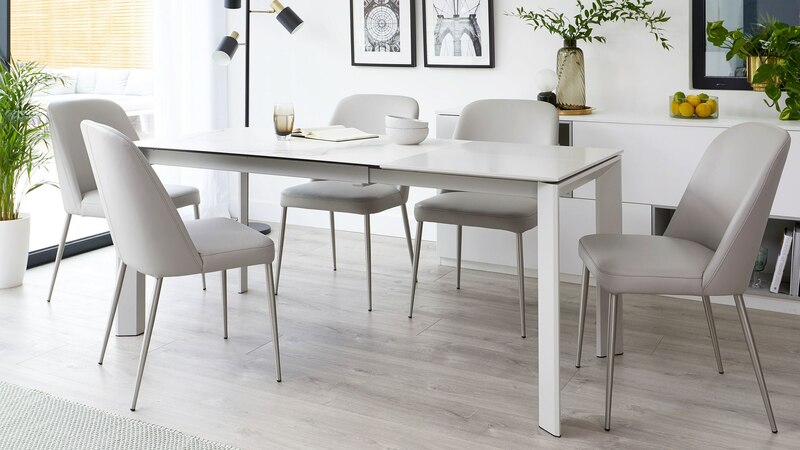 If Scandinavian Inspired Interiors are your thing, Take a look at our effortlessly cool Aver Extending Dining Table in White and Grey. 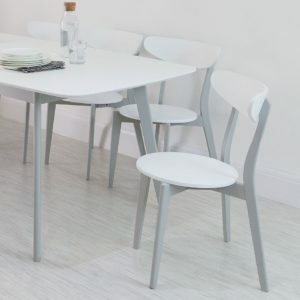 Featuring a super smooth butterfly extension leaf which tucks neatly under the table, this Dining Table seats 4-6 people with one seamless swoop. 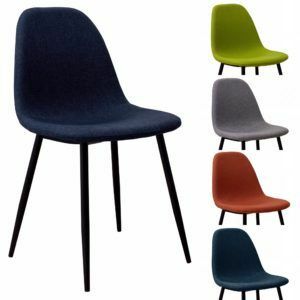 Pair with the Zilo Fabric Dining Chairs for a colourful interior which won't break the bank! Available in 5 rich colours including Teal, Blue and Russet Orange, the Zilo Fabric Dining Chair is a welcome splash of colour to any modern kitchen. The on-trend Matt Black legs add contrast to the colourful padded seat, all the while bringing form and structure to your dining area. 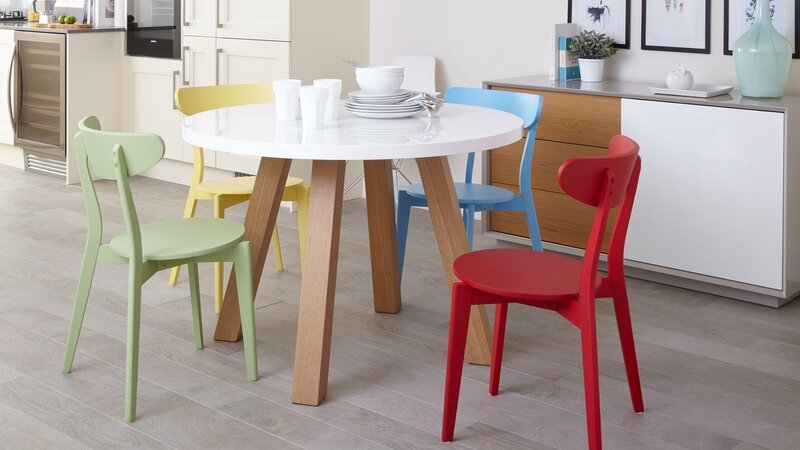 Mix and Match your dining chair colours to create a personalised and cool interior. If you're after that Interior Designed look, what better way to achieve this than with a statement piece. 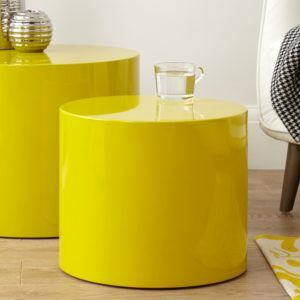 Our Pebble Side Tables have a high gloss finish, while the bold Mustard Yellow gives that designer edge. Plus, these are space saving at its finest. 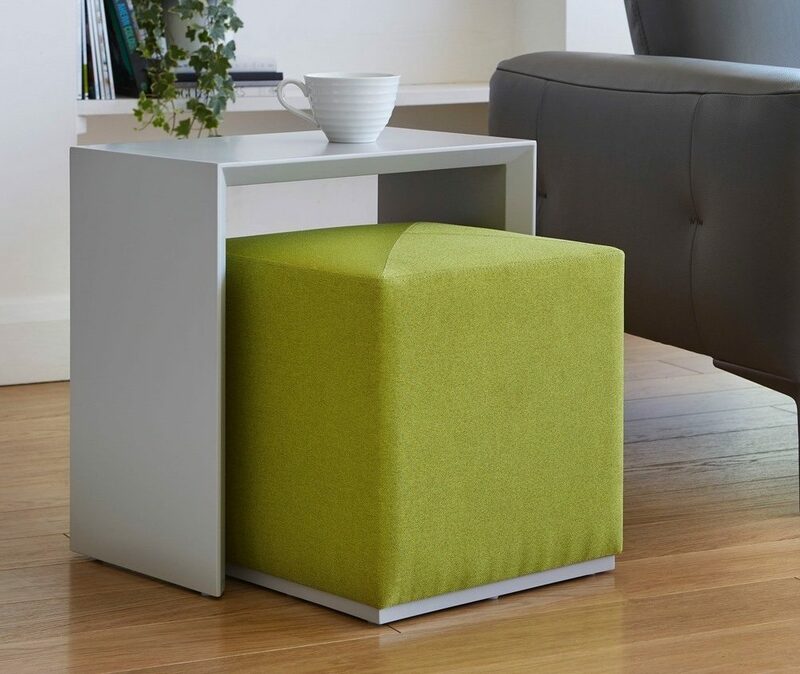 The smaller table slots inside the larger one when you're tight on space or can be grouped together when you need that extra handy surface. 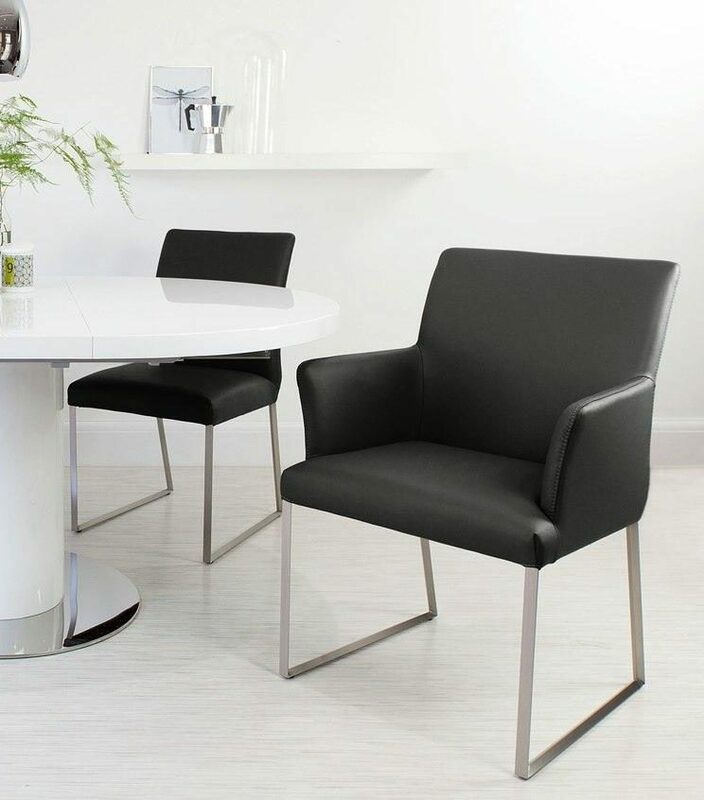 Our Elise Dining Chairs are a favourite of yours, so make the most of our Black Friday Hot List Deals and snap them up at a fraction of the cost! 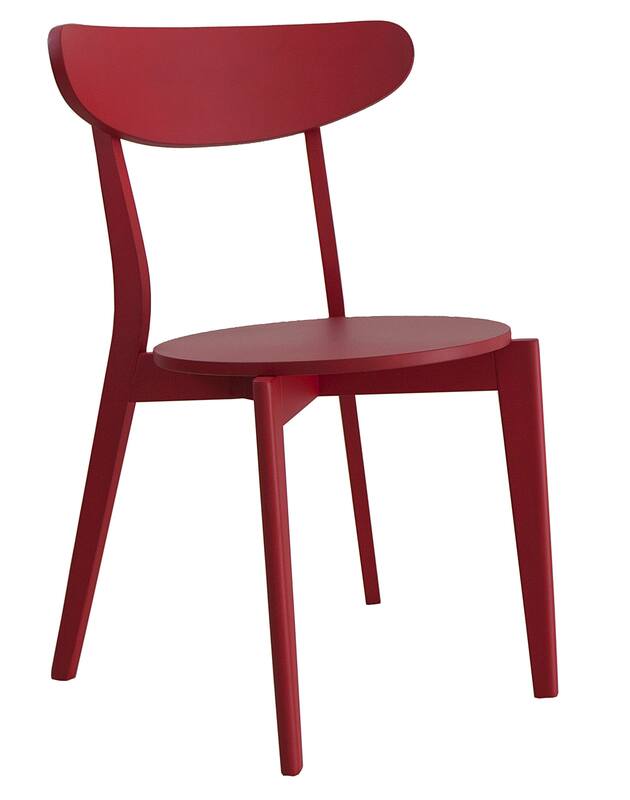 The Chrome legs of the Elise Dining Chairs bounce light around the room, whilst the bright Poppy Red colour brings warmth and style. 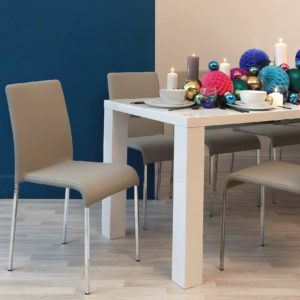 The Elise Dining Chairs are available in 8 Colours, but be sure to check, as not all options are available before Christmas. 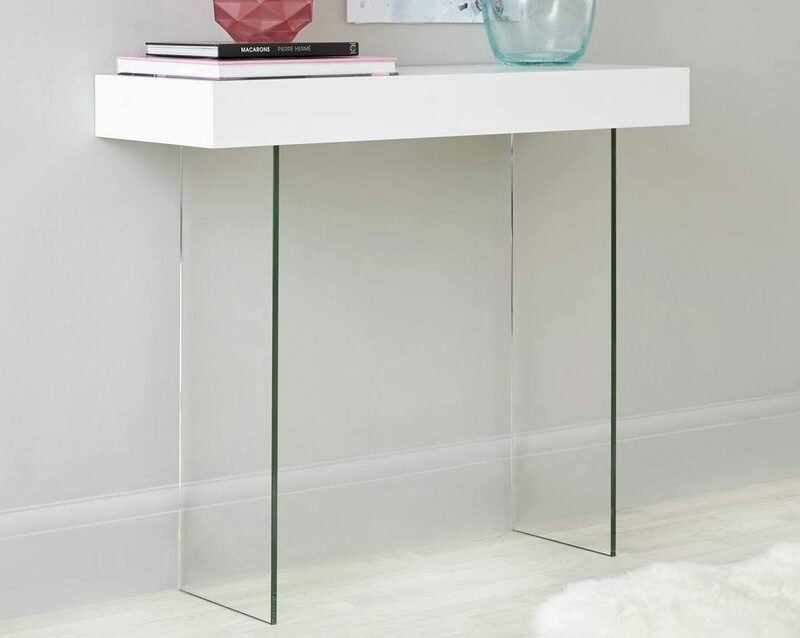 Console Tables are a perfect addition to your hallway, living room or bedroom. They act as a handy extra surface for lamps, trinket bowls or your favourite homewares. However, when you've got a more compact space, you don't want to be blocking any light. That's where the Calanna Grey Console Table comes in. 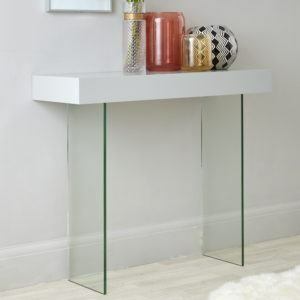 With clear glass legs, you get the illusion of a floating shelf, without the weight restrictions. Plus, for just £170.50, its an absolute interior bargain! Finally, for that true interior design magazine look, the Ripple Gold and Glass Coffee Table is the one for you. The Brushed Gold Waved base teamed with a circular Glass Top allows light to flood through your home, all the while bringing a modern and luxurious design. With over £40 off for a Limited Time only, don't miss this one. You'll regret it later on! Now you've seen our best deals, you'd better get shopping! All prices are for a limited time only and on specific colour options. Don't forget, we are running other deals all over the Black Friday weekend. Find more offers on our Facebook, Instagram and Twitter pages, and share your Black Friday purchases with us by using #mydanett!